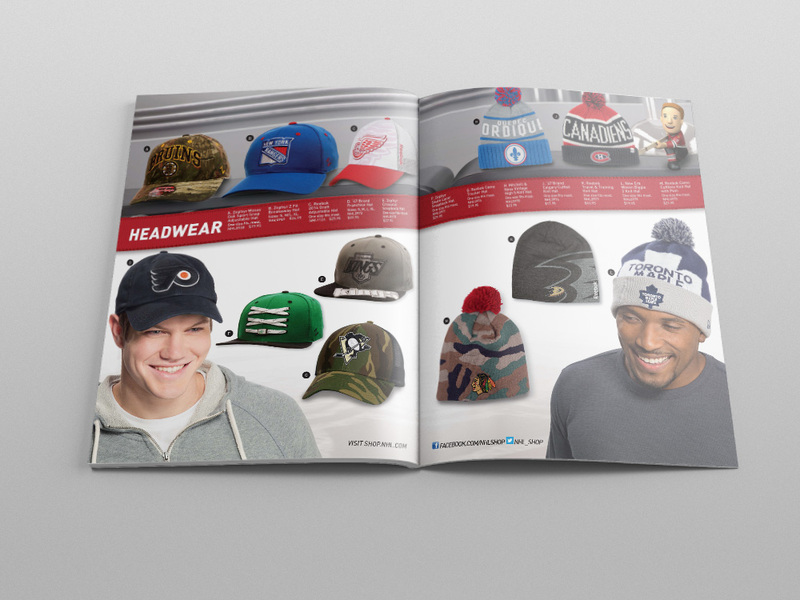 The November 2015 NHL Catalog was a minimalist, fashion forward, and look book concept that fit with the design trend of that period. 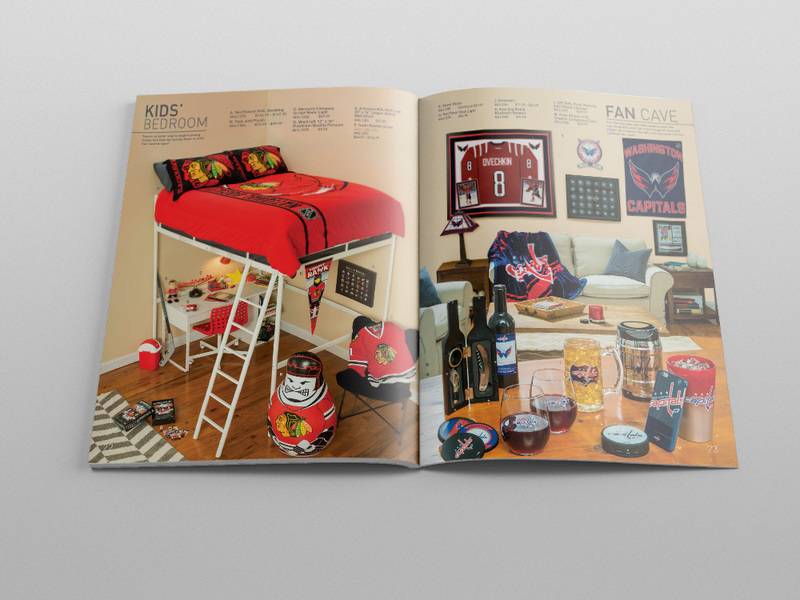 Romanticizing the product by pointing out certain features while promoting similar products on the spread was the main driver of the interior spreads. 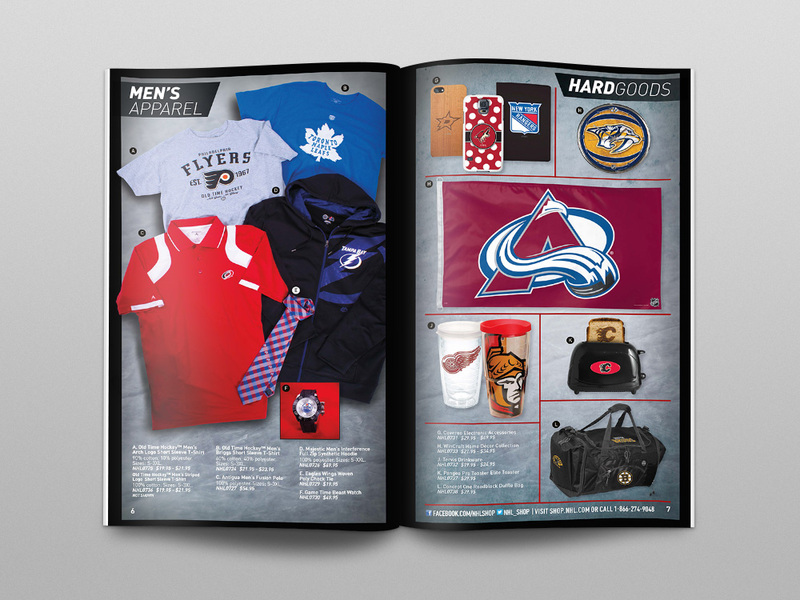 The catalog was a direct mail piece that was utilized as a vehicle to drive fans to shop.NHL.com. 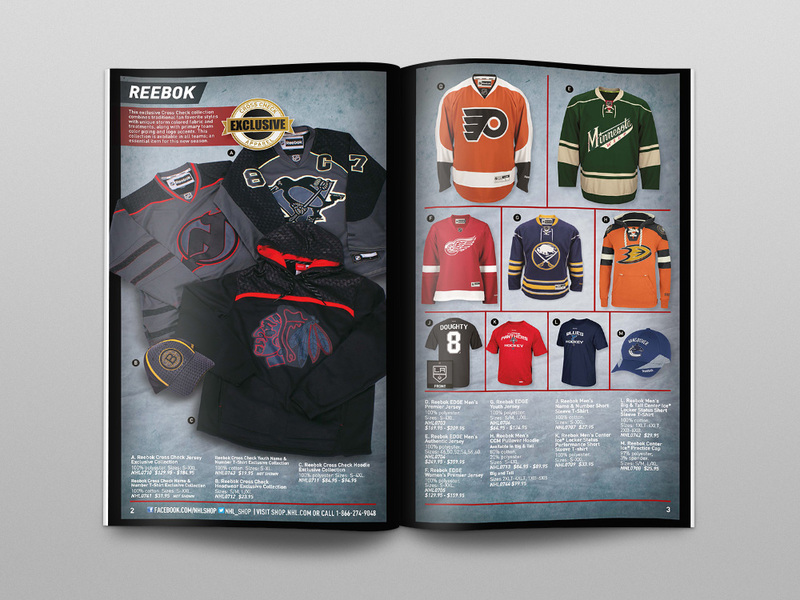 The spreads above feature front/back cover, NHL jerseys, Old Time Hockey apparel, kids bedroom set and Fancave gear. 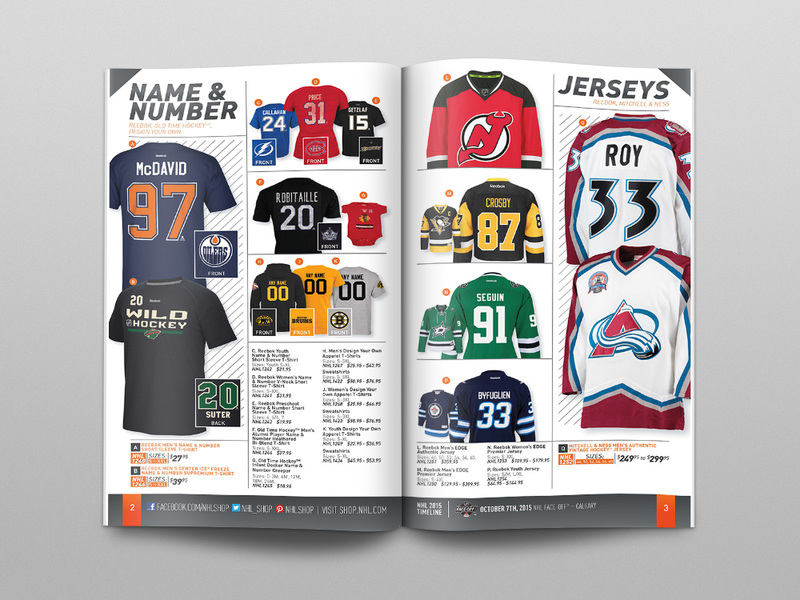 The fall 2015 NHL Catalog was in a half size format and had a tech feel that allowed the product to shine with some minimal color. 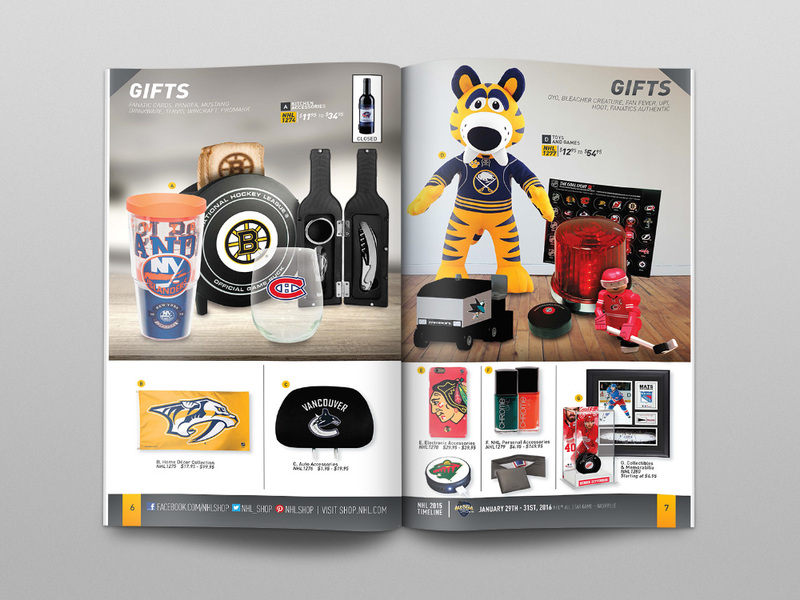 The challenge of putting together this book together was that it was the only catalog of the year that we didn’t shoot models so the design had to utilize a grid system and products to create interest on the page. 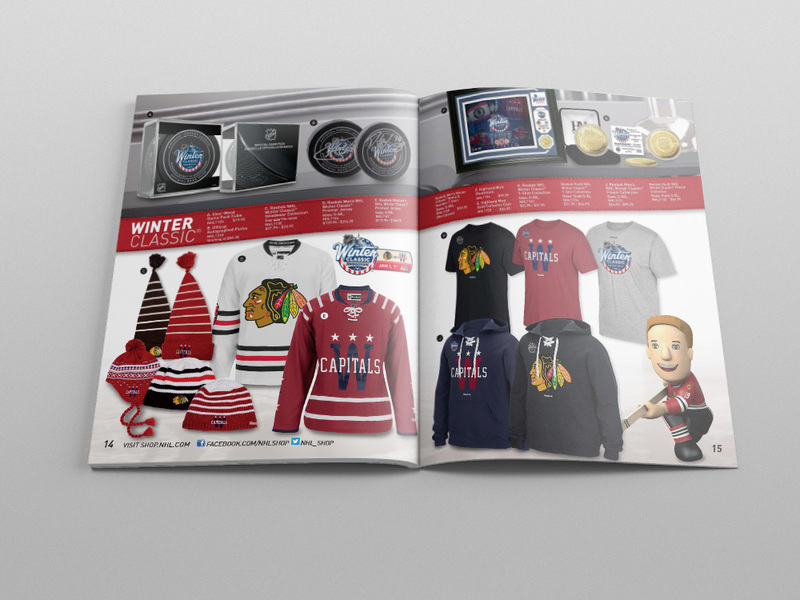 The catalog was a direct mail piece that was utilized as a vehicle to drive fans to shop.NHL.com. 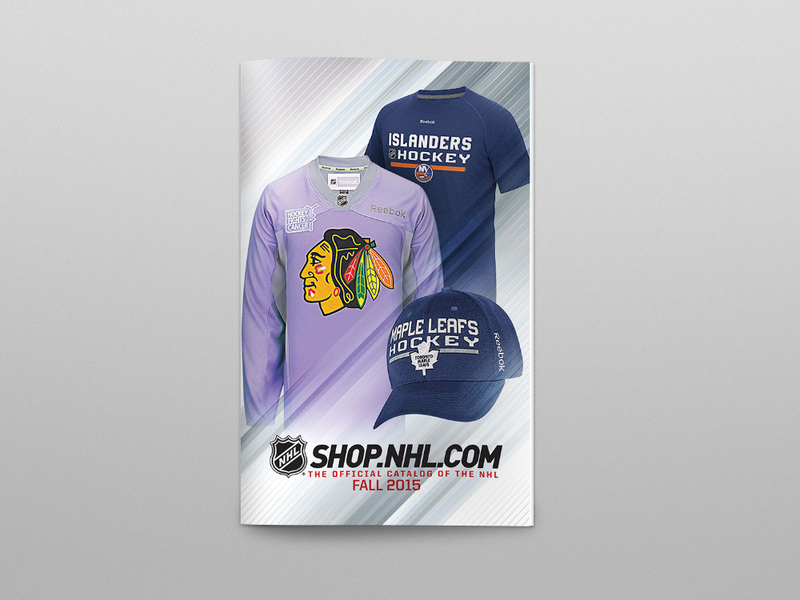 The spreads above feature front/back cover, name & number, jerseys, men’s apparel, women’s apparel, kids apparel, and gifts. 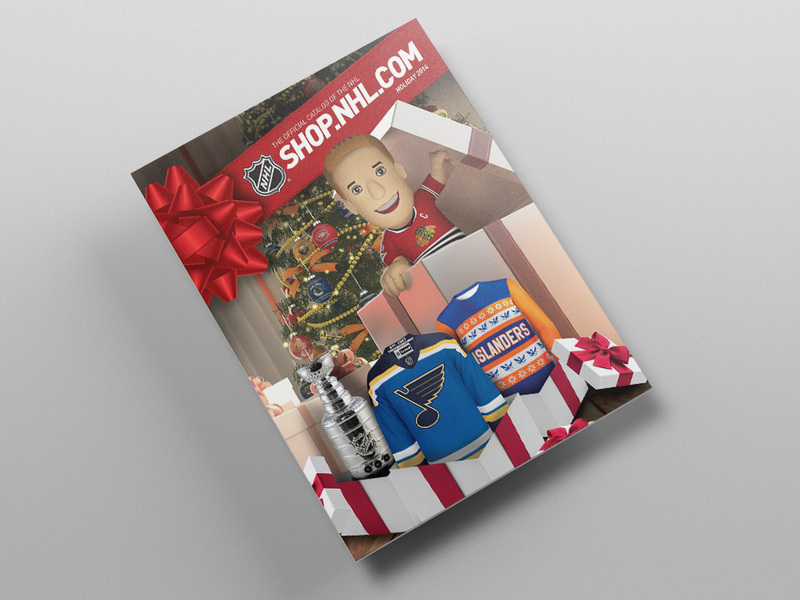 The Holiday 2014 NHL Catalog was based on a 3D animated commercial which featured products that came alive on an assembly line, gift wrapped official hockey gifts and sent them directly under your tree. The full commercial can be viewed here. 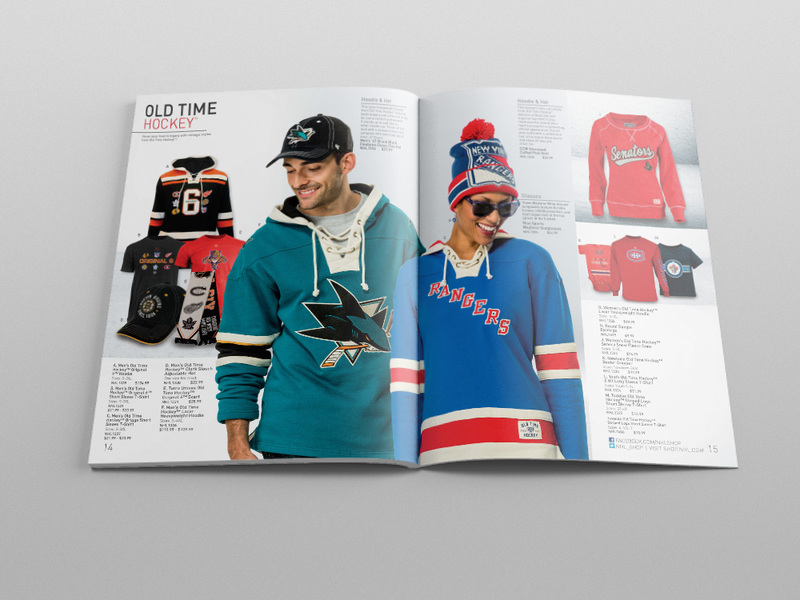 This catalog, along with models, was one of the rare instances we could use player photography as well as stills from the commercial itself. All of the elements were utilized, I put as many products on the assembly line to be representative of the TV spot as possible and took the end of the commercial and placed it on the front cover. 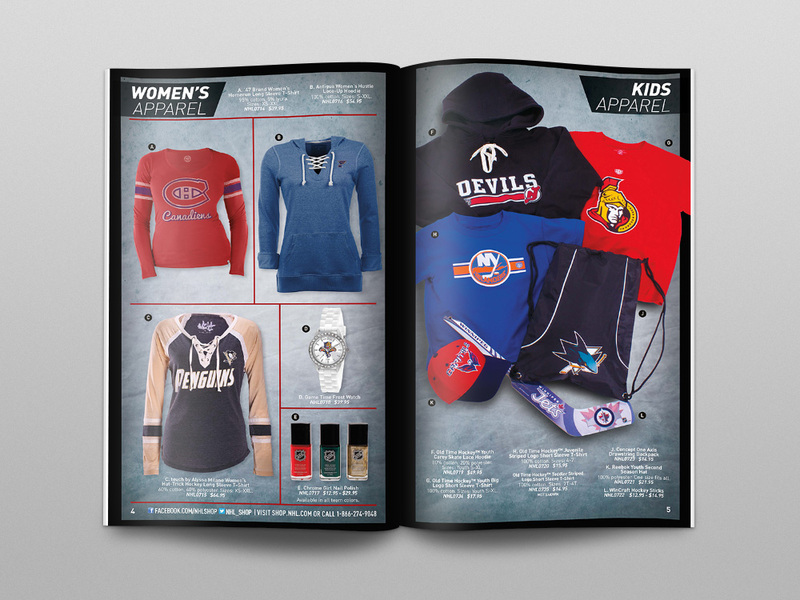 The catalog was a direct mail piece that was utilized as a vehicle to drive fans to shop.NHL.com. 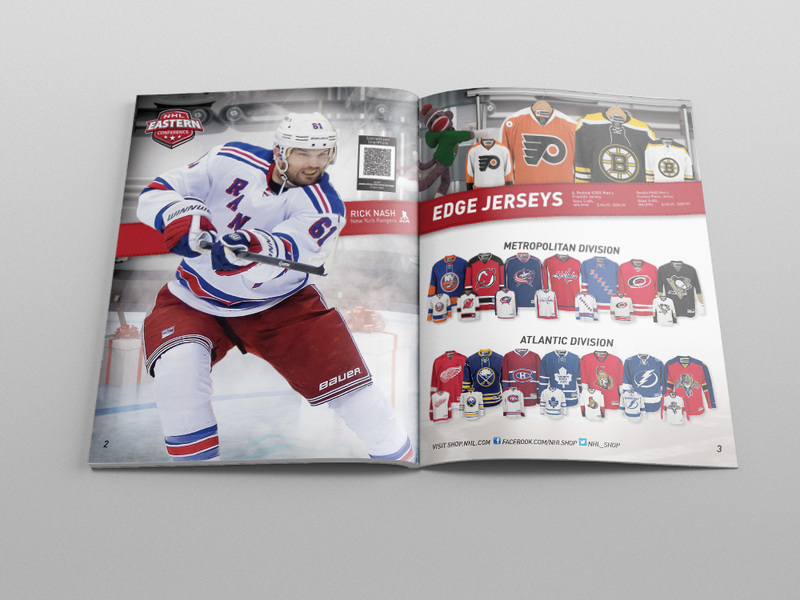 The spreads above feature front/back cover, NHL jerseys, Winter Classic apparel, and headwear. 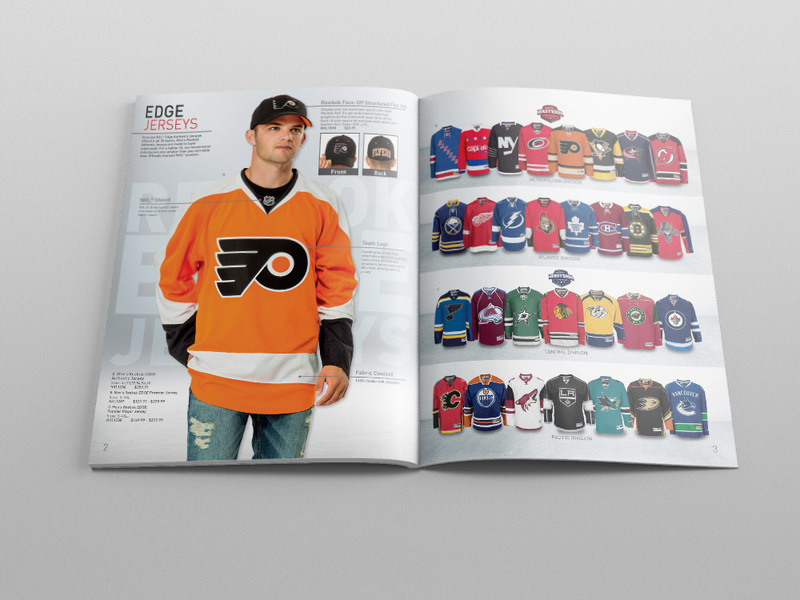 The fall 2014 NHL Catalog was in a half size format and utilized in-house photography of products which I art directed with the photographer. 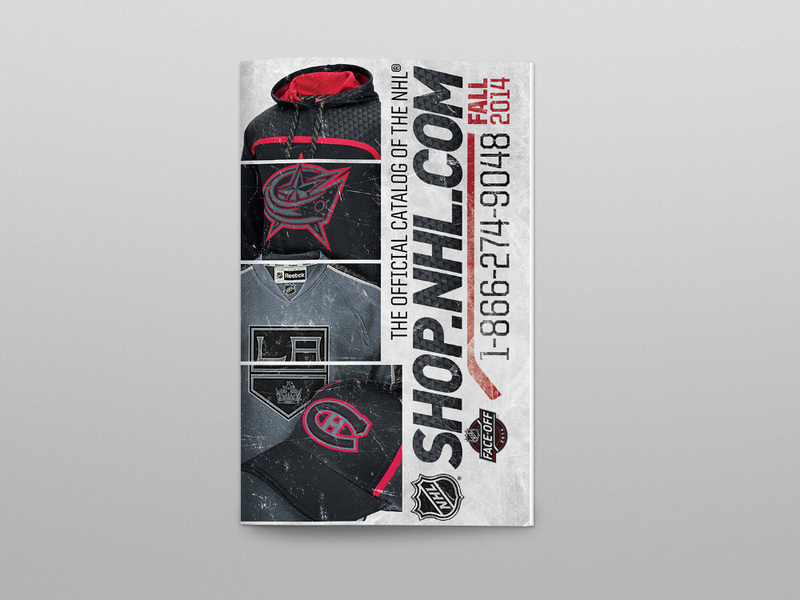 The background featured a more dramatic ice texture to represent the intensity of the NHL and the passion of their fans. 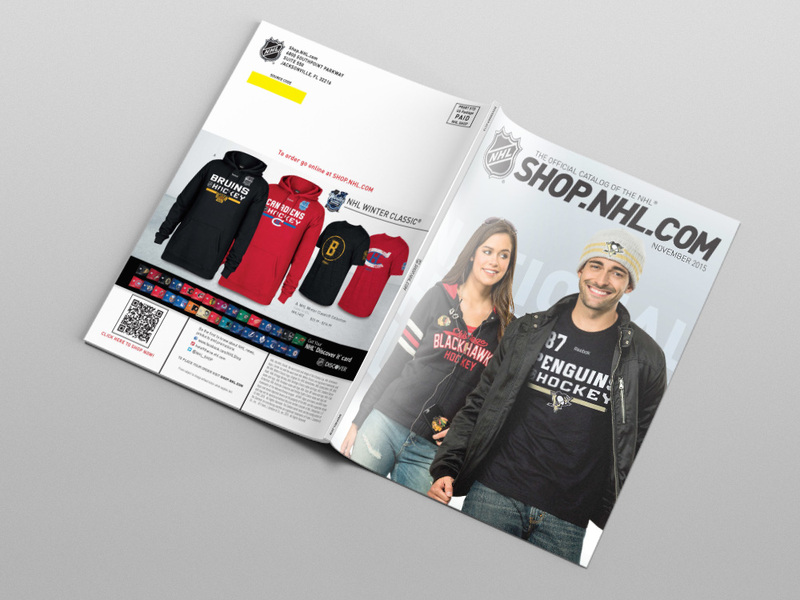 The catalog was a direct mail piece that was utilized as a vehicle to drive fans to shop.NHL.com. 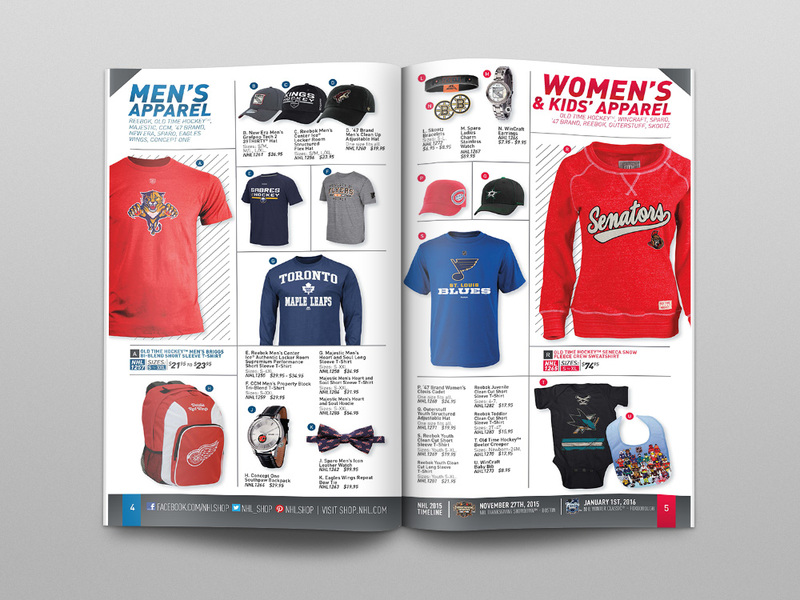 The spreads above feature front/back cover, name & number, jerseys, men’s apparel, women’s apparel, kids apparel, and gifts.